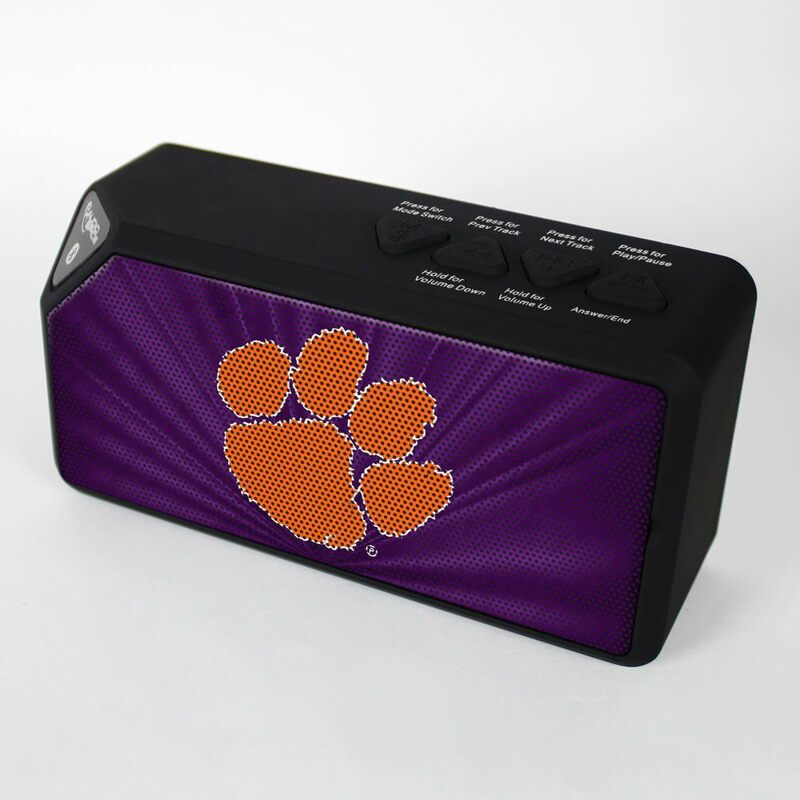 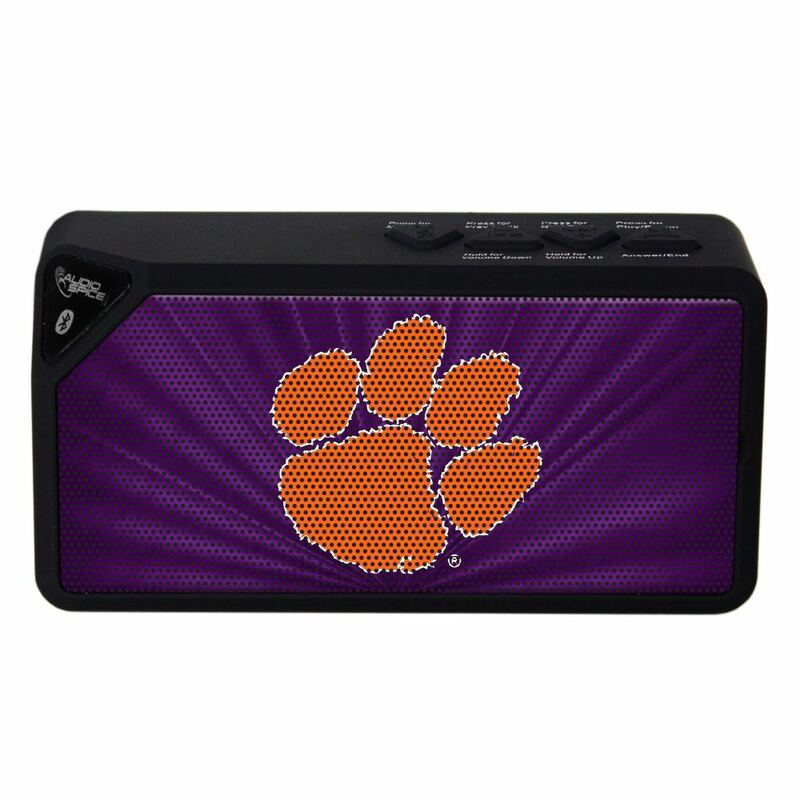 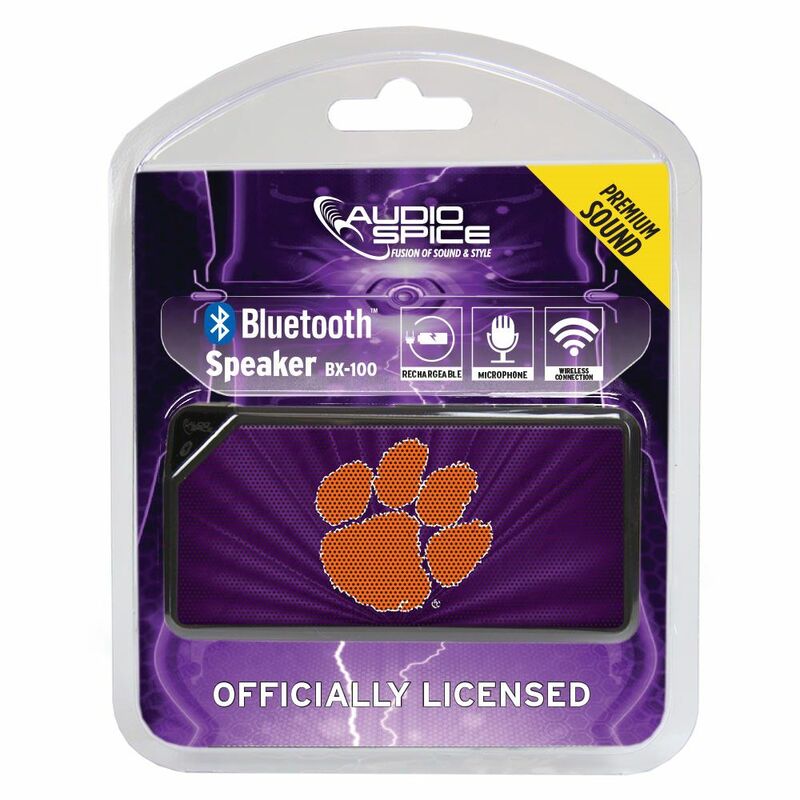 Clemson Tigers BX-100 Bluetooth Speaker from AudioSpice is an excellent way to enjoy your favorite music while showing support for the team. 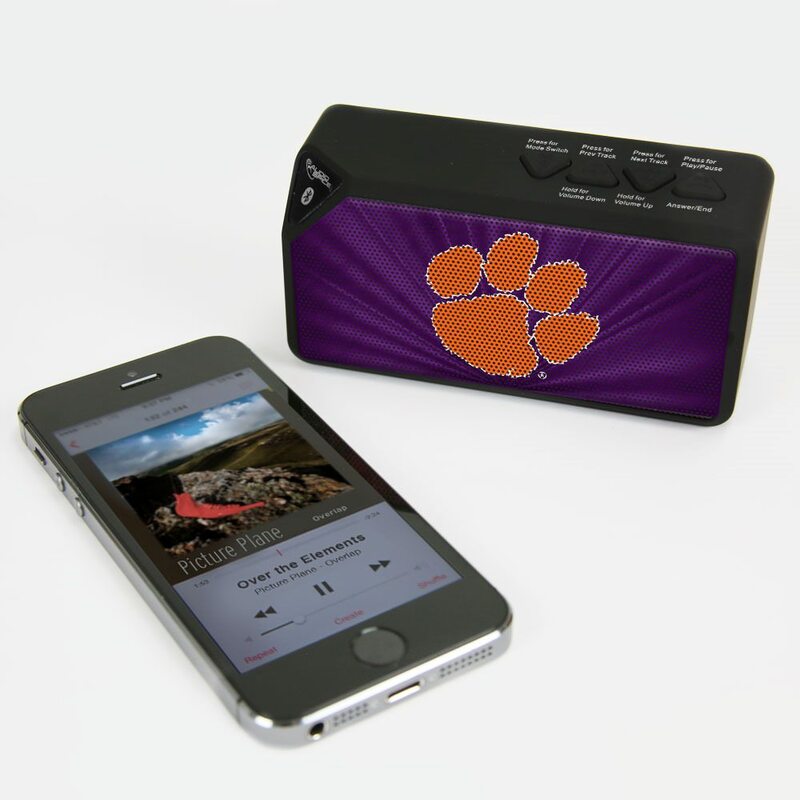 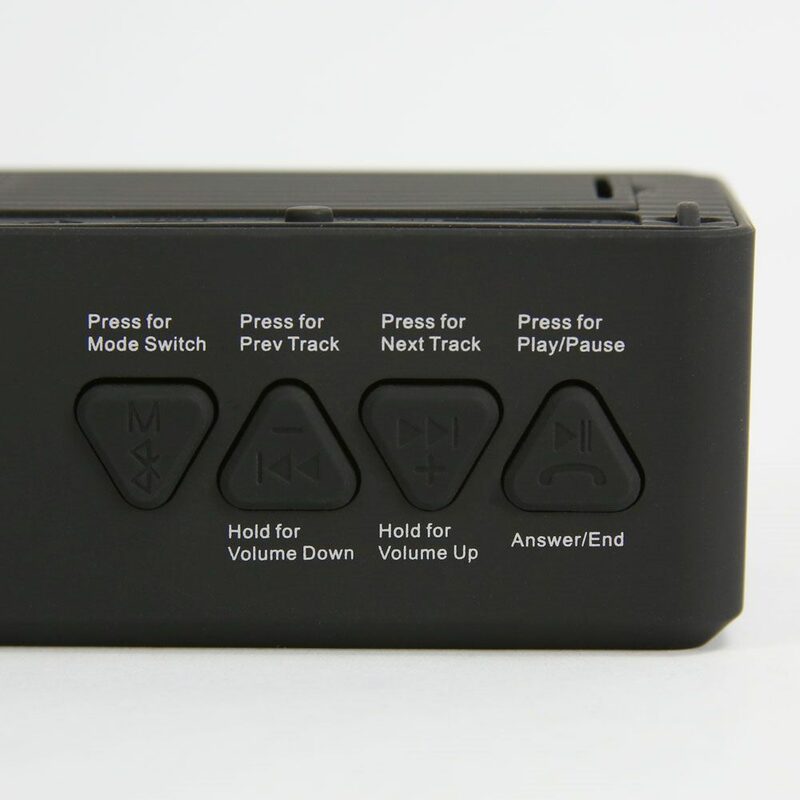 This portable speaker can play music from Bluetooth devices including smartphones and tablets. 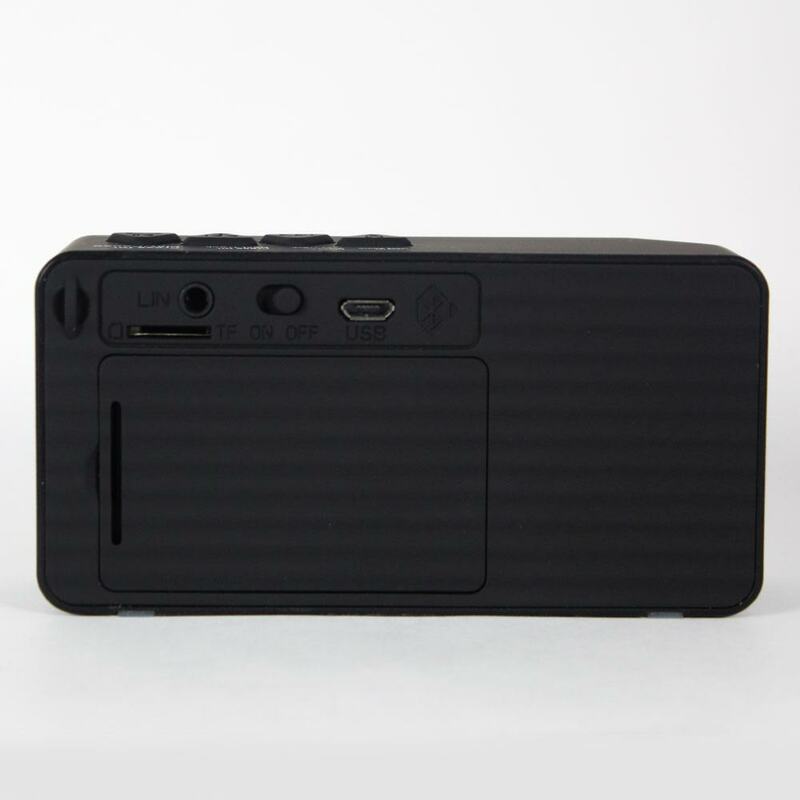 Recharges quickly and easily via USB port.